Black won cheers from supporters when she pledged the SNP would stop what she said would be the billions wasted on a renewal of Trident. She also promised to call for the powers that were promised to Scotland during the referendum campaigns, and said she would fight to put an end to austerity cuts that are hurting communities “both north and south of the border”. What is she going to do now, reporters asked. “Sleep.” After that? “Breakfast.” And after that she will have to complete her dissertation, due by the end of the month in order to complete her politics degree. 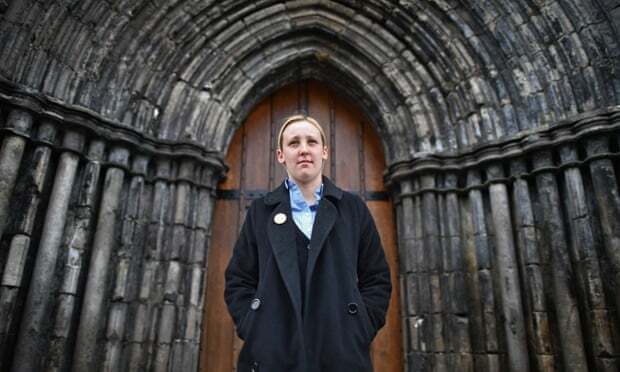 The dissertation should be relatively easy for her, steeped as she is in the SNP: how the SNP’s party structure has had to accommodate the influx of new members since the referendum, up from 20,000 to over 100,000. As an American with what could only -- and even then only charitably -- be called superficial knowledge of UK politics, I don't have a clue if this is a real victory for progressives, or if the Conservatives are stronger with bruised and beaten Labour party in the minority with the SNP. The Tories look like they're going to have straight majority and so are going to be sitting pretty anyways, so maybe it doesn't matter much. It's exciting to see a 20-year-old progressive from an upstart party take down a major figure in a nation's leading center left party though. The kind of thing we could use a little more of here.